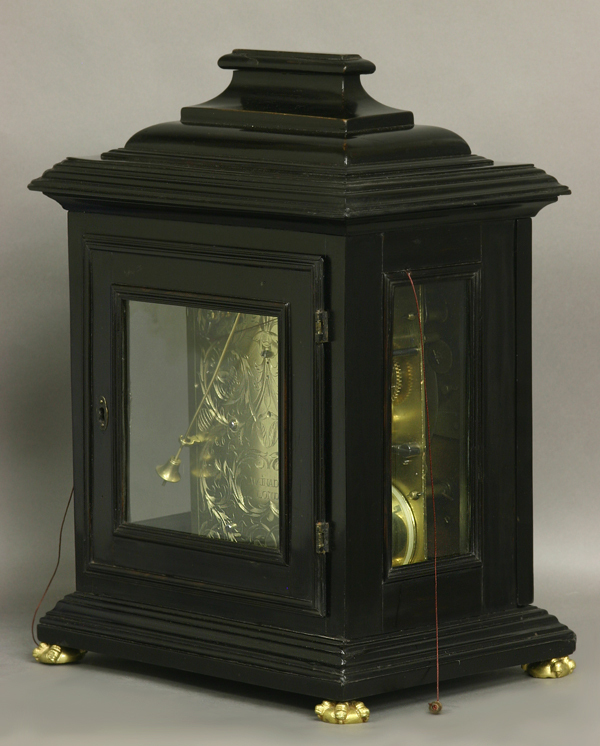 The well proportioned ebony veneered inverted bell-top case has finely cut moldings, windows to the sides and brass animal feet. 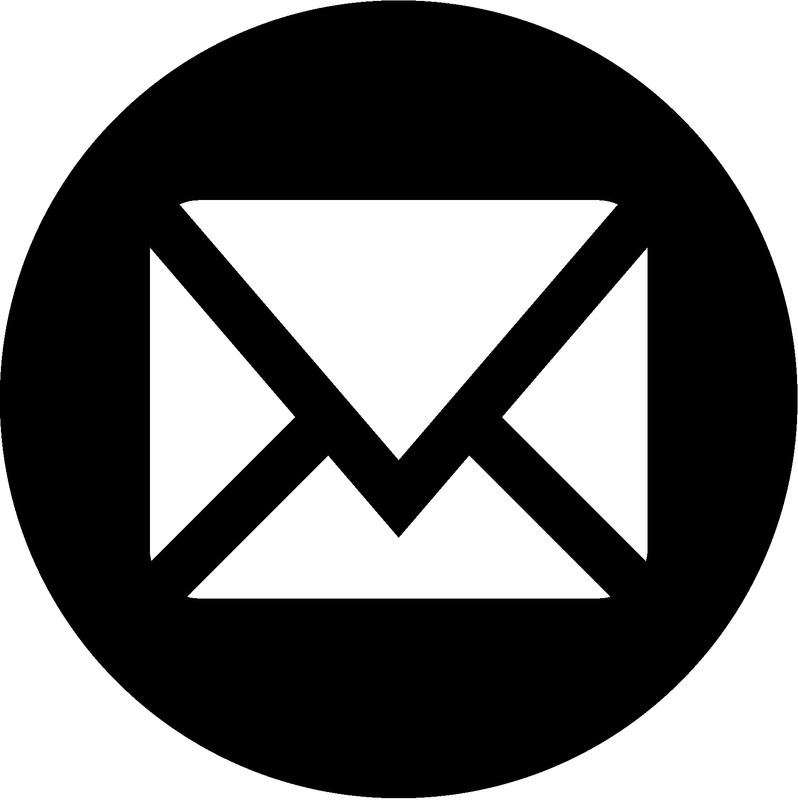 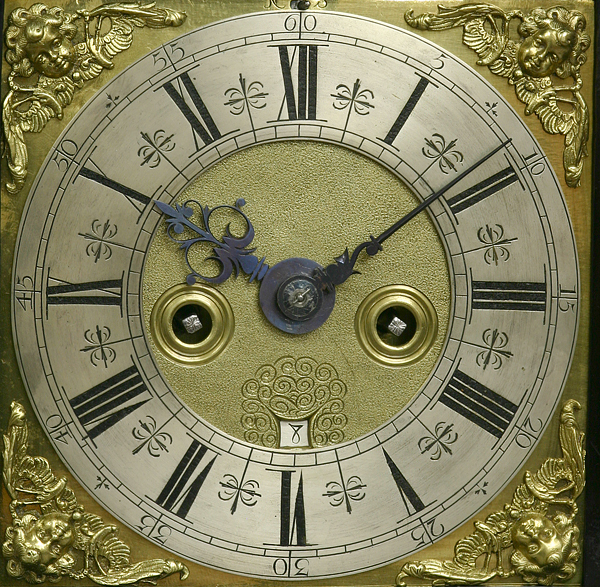 The square brass dial has a matted center, a shaped calendar aperture framed by scrollwork, ringed winding arbors, winged cherub spandrels and a strike/no strike up at the top edge. 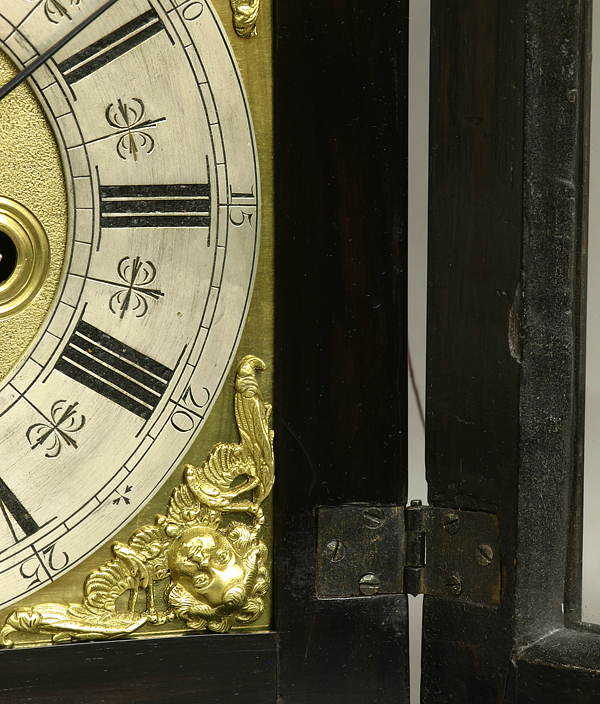 The steel-cut hands show the time on an engraved silvered chapter that has Roman numerals for the hours, Arabic numbers for the five-minute marks, decorative half-hour marks on the inside quarter hour chapter and decorative half quarter marks along the outside edge. 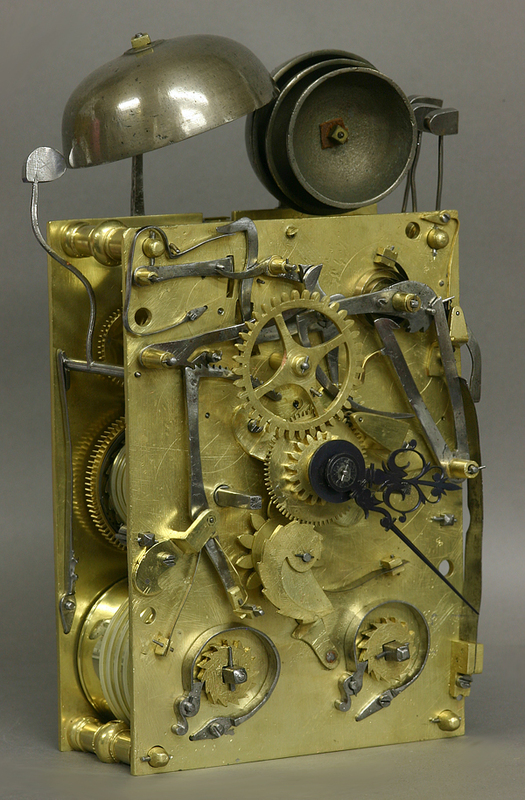 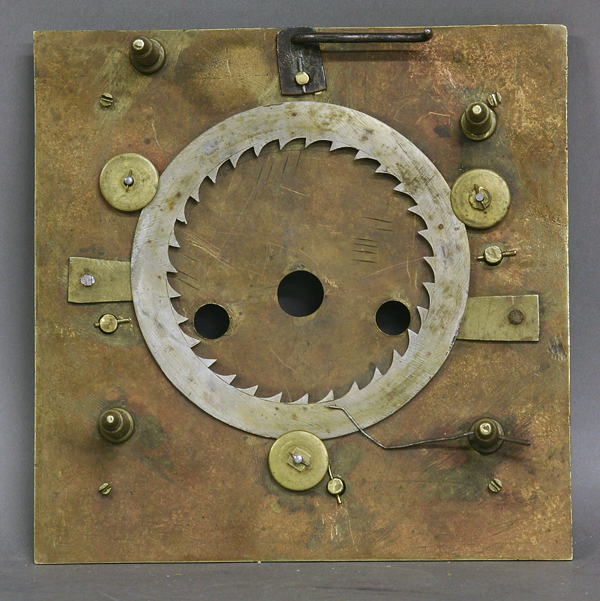 The rectangular brass time and strike eight-day movement has an elaborately engraved backplate, large shaped pillars, the original crownwheel escapement, twin fusees and countwheel striking on a bell. 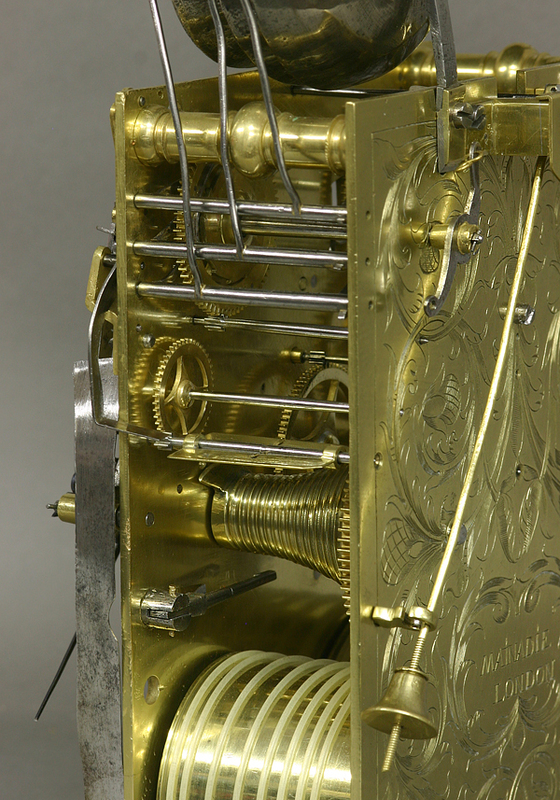 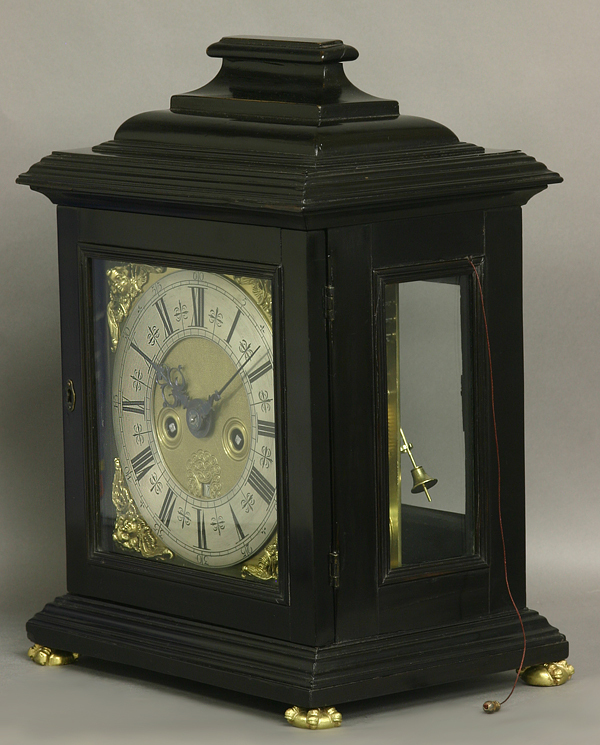 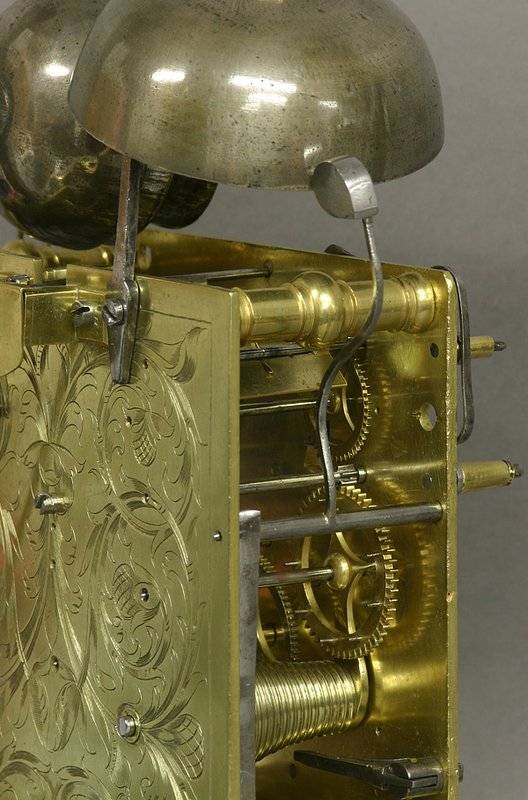 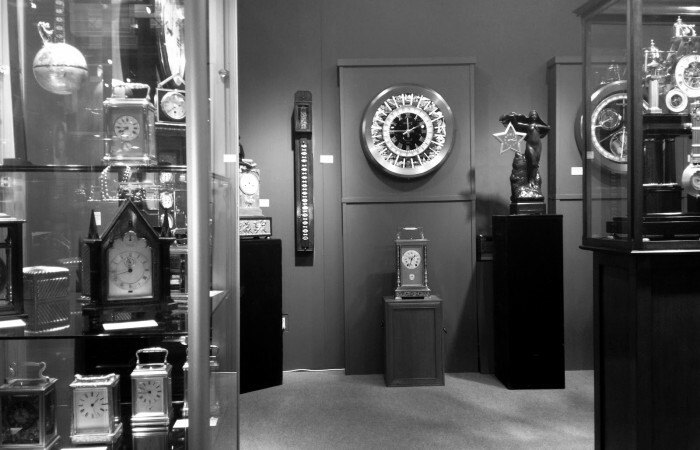 It also has a rotating pull mechanism that has cords out both sides of the case and when activated counts the quarters on three bells and then repeats the hour and, unlike most English clocks, the hands can be turned backwards without damaging the movement. 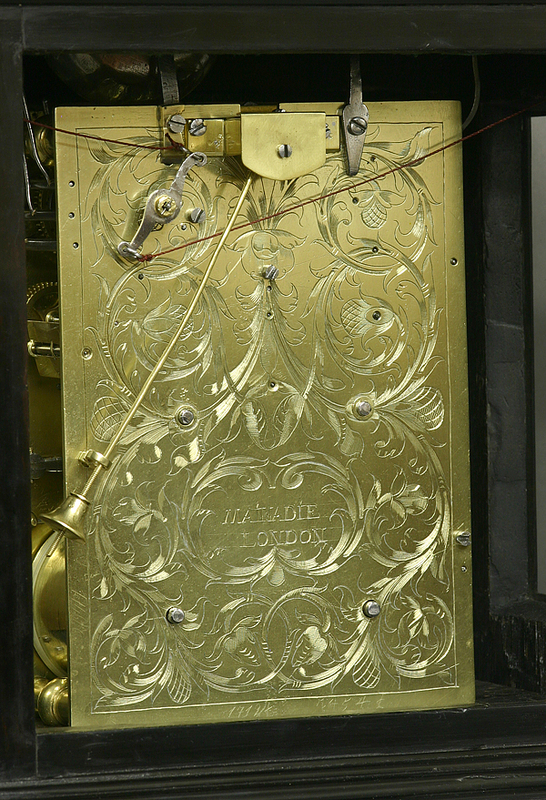 Estienne Mainadie is listed as working in the early eighteenth century in Magdeburg, Germany. 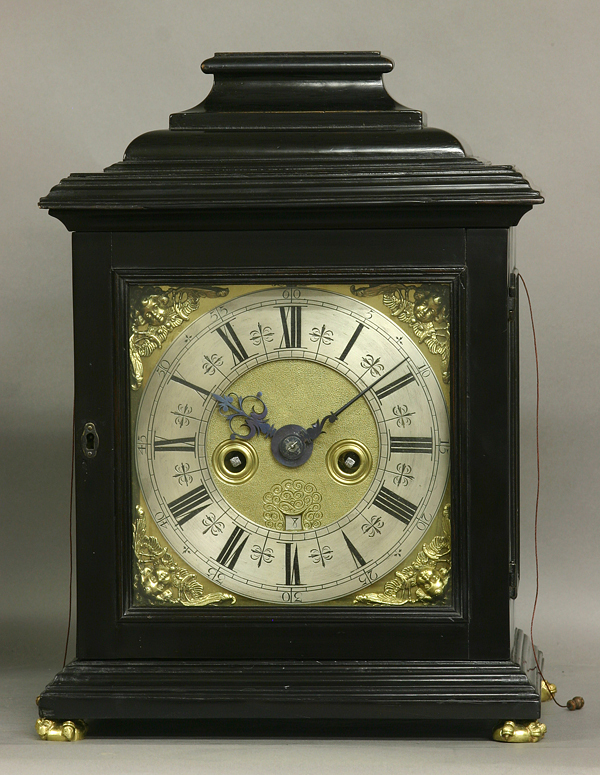 Additional information as to when he relocated to London is as yet still unknown, but the workmanship and design of the movement would seem to suggest an intimate knowledge of English craftsmanship.